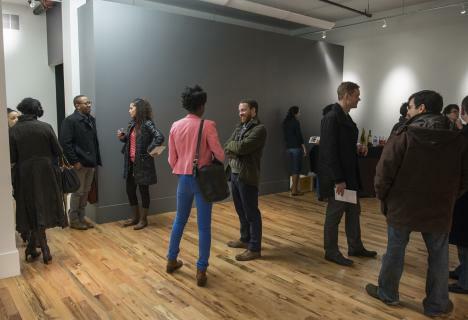 The University of Chicago’s Arts and Public Life initiative on March 8 opened its new Arts Incubator in the Washington Park neighborhood—providing a dedicated space for artists to grow professionally and build creative connections with the surrounding community. 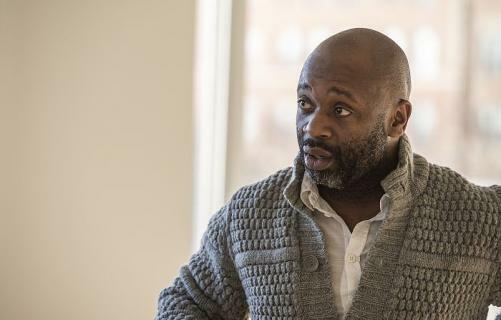 The newly renovated Arts Incubator, envisioned by internationally recognized artist and place strategist Theaster Gates, includes 10,000 square feet of studio space for artists-in-residence, a woodshop for design apprenticeship programming, and additional program space for exhibitions and events. The Arts Incubator, located at 301 E. Garfield Blvd., is housed in a two-story, terra cotta building dating to the 1920s. The Arts Incubator’s programs include an innovative artist residency program, which unites professional development opportunities for artists with the University’s efforts to greatly enhance the cultural amenities of the Washington Park community. The program, presented in partnership with the Center for the Study of Race, Politics and Culture at UChicago, garnered more than 150 applications this year, and is a much-needed opportunity for Chicago-based artists, according to Gates. 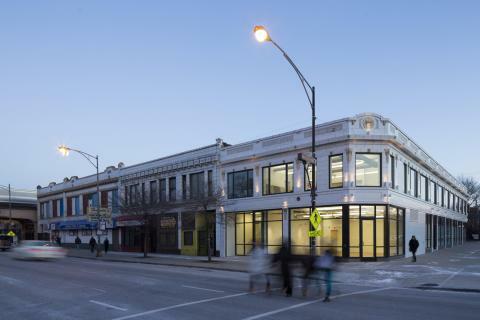 The incubator is an outgrowth of Gates’ ongoing work with the Rebuild Foundation and Dorchester Projects, creative redevelopment projects designed to revitalize abandoned properties in Chicago’s Grand Crossing neighborhood and throughout the Midwest. The Arts Incubator building, which was originally a Walgreens drugstore, sat unused for nearly 20 years. The University purchased the property in 2008 and invested $1.85 million in renovations. 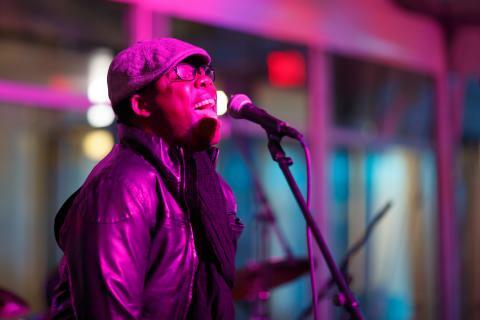 The incubator also received a $400,000 grant from ArtPlace, an organization that supports creative place-making efforts across the United States. The Arts Incubator is the signature project of the Arts and Public Life initiative. Arts and Public Life was created in 2011 and aims to foster collaboration and conversation between the University and the civic, cultural and artistic communities of the South Side. The five Chicago-based artists-in-residence at the Arts Incubator for 2012-2013 are musician LeRoy Bach, photographer Cecil McDonald Jr., musician Tomeka Reid, filmmaker Cauleen Smith and writer avery r. young. Each received an honorarium of $10,000 and will have access to UChicago’s academic and research resources during their residency. The Arts Incubator’s first exhibition, Feedback, engages with the concepts of collaboration, dialogue and exchange. Comprised of artwork, various programs and a public dinner, it begins within the confines of the first-floor exhibition space and reverberates into the Washington Park community through acts of publicly displayed works and performances. Smith’s Park Interiors: 17 Possible Directions, silkscreened wallpaper adhering to the exterior of buildings from 118-132 E. Garfield Blvd., is currently on view. Feedback runs from March 8-April 27 and features the work of Terry Adkins, Blanche Bruce, Alexandria Eregbu, Nyeema Morgan, Abbéy Odunlami and Kamau Patton, as well as artists-in-residence McDonald and Smith. For a full schedule of public events at the Arts Incubator and more information on how to participate, visit http://arts.uchicago.edu/artsandpubliclife/ai.